Friday Art Club – Painting, Mixed Media, Portraits and more! Let your imagination run wild, and develop your art making skills and techniques. 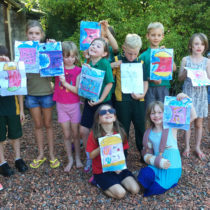 Friday art club is for kids who love being creative and want to develop their art making skills. We will explore a variety of different drawing and painting techniques, including still life, portraits, landscapes and more. We will draw, paint, and cut out shapes to make artwork combining oil pastel, watercolour and collage. 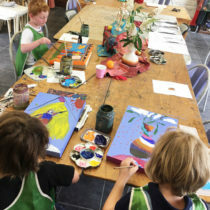 Each term also features one new art medium such as mosaics, ceramics, sculpture and/or mixed media craft, so this means students constantly build on their 2D and 3D art making skills. Taking inspiration from nature and the seasons, as well as artists such as Picasso, Van Gogh, Andy Warhol and more, their little hands and minds are always inspired! Each week will complete a different themed artwork, and at the end of term you will have your own artist’s book to take home. 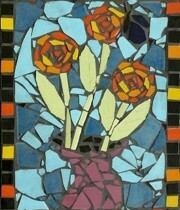 Get set for creative fun, we will make some wonderful creations to take home that will be treasured for years to come.